Perfectly maintained end unit with lots of upgrades! You'll find hardwood floors throughout the downstairs, dark cabinets with granite countertops, & stainless steel appliances. Large dining area with bay window, perfect for enjoying a cup of coffee to start the day. Upstairs you'll find a spacious master bedroom with walk-in closet, ceramic tile shower with bench, plus double vanity. Additionally, upstairs you'll find two more bedrooms & the laundry room. This energy efficient unit has a tankless water heater, Low E thermal windows, & energy efficient HVAC unit. 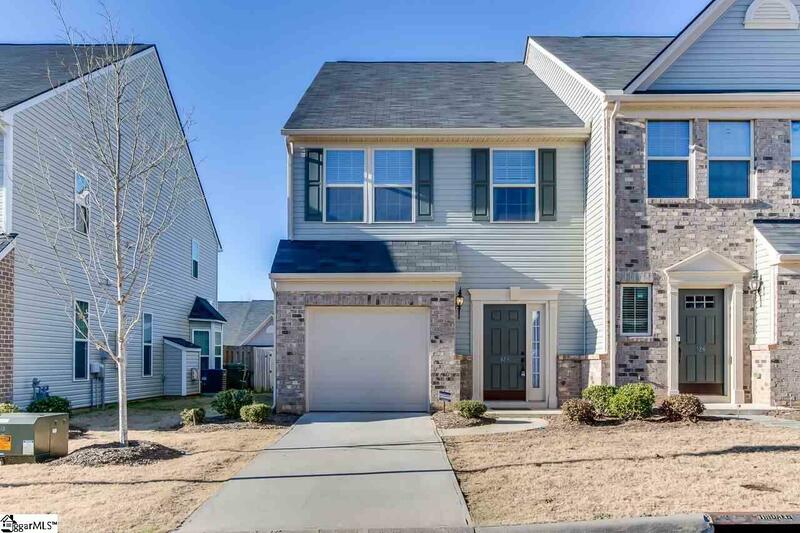 Enjoy the location, just minutes from shopping, restaurants, & both I-85 & I-385. Make your appointment today! Some or all the furniture could remain with the right offer! Listing provided courtesy of Brad Spink of Exp Realty Llc.